Learning real, practical shamanism is NOT easy. Navigating through the nonsense. The mystical. The delusion. The incoherence with reality is like wading through a swamp, uphill, in the fog. Has it ever felt like shamanism is a fascinating subject? A subject that calls to you? But when you look into it, you read some books, you join a few groups… something doesn’t feel right? Something doesn’t sit with you and what you know to be real. There is a disconnect there and you don’t know what it is. The truth is, shamanism is not nice. Its not mystical in the slightest and there is no room for imagination or belief. It requires discipline, dedication and true experience rooted in reality. This is hard path to follow! So it’s not hard to understand why there is so much bullsh*t surrounding Shamanism. Its easy to fall into the imagination trap. To take drugs and think you are performing shamanic technique. To imagine floating to the upperworld on a unicorn, falling down a hole to the underworld. Or even, having a chat with the animal spirits. All these things play right into the hands of those who want to believe. Those that sincerely fall right into the imagination trap. You wouldn’t buy a piano, play a few scales and believe you are a concert pianist right? The foundation of shamanism is Chalicity. You could call it stage 1 if you like, but achieving Chalicity will ensure your shamanism is real. That it means something. It’s what will separate you from the navel gazers and the believers in magic and unicorns. Good Chalicity will expose the falseness. It will open you up to reality and experience. Before you listen to the episode, a quick recap on the three components of chalicity. Bhatt – The discipline, the strength. The eyes of the eagle. Gookhakh – The results of the hard work. The experience. Click the links to head to the full episodes dedicated to each component. In short. 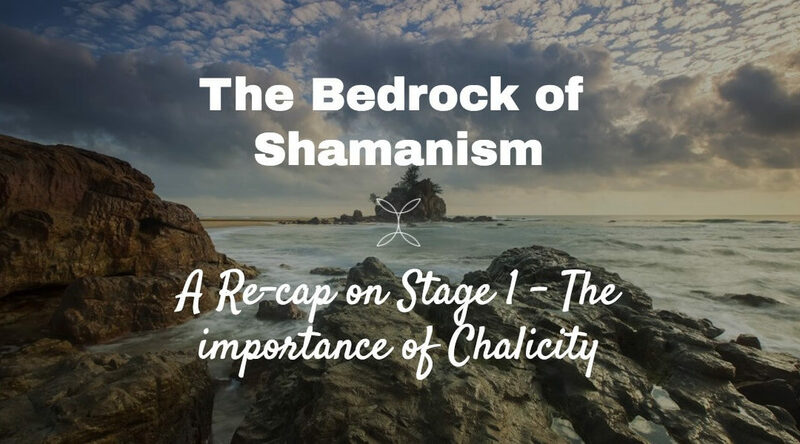 Chalicity is the bedrock that all your future shamanic technique will rest on. Over to you… Did you enjoy the episode? Please give it a quick share and/or leave a comment below to let me know your thoughts. Thanks for sharing, please keep it up! Thanks for the kind words Gary. Will do! Question for you. Have you published a glossary somewhere? Hey Flash, No problem at all. I’m really pleased your diving into it and looking at the actual practical side of learning. I’m in the middle of putting together a basic glossary for all the terms mentioned in the podcast for quick and easy reference. As most of the terms are in Mongol, this is a challenge. Anyway, once its up on the site i’ll let you know!